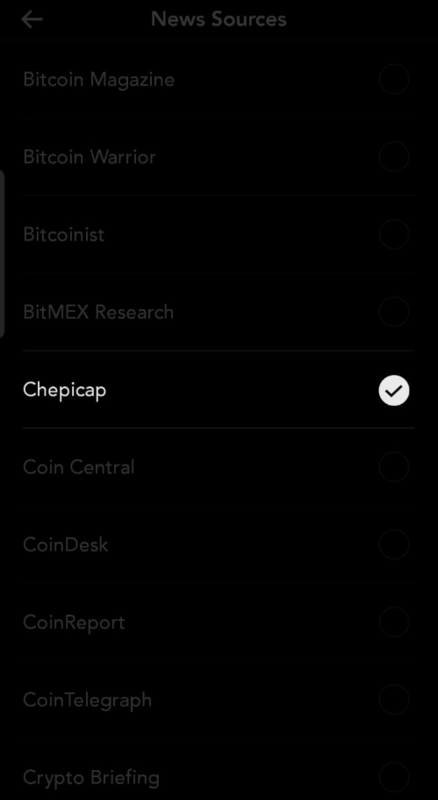 Now you can follow Chepicap simply and easily in Blockfolio! Keep up to date on the latest breaking news and crypto community affairs without even having to open your browser... Here’s how! 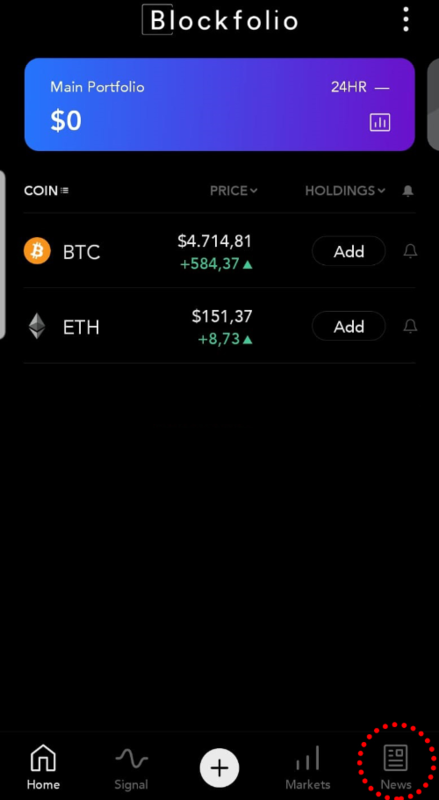 Blockfolio has become one of the must-have apps for every crypto trader whether you’re long or short, the portfolio tracker has always had your back, keeping you sharp and ready for anything the market throws. Chepicap has partnered up with the popular cryptocurrency portfolio, becoming a newly integrated news source. 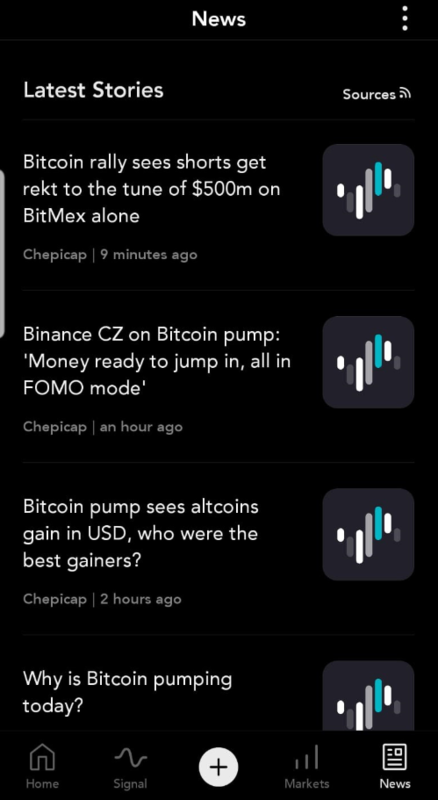 Now, with Blockfolio’s freshly updated news reader, adding prime news sources is easier than ever, and Chepicap is very pleased to provide our news in the portfolio tracker. So how can you add us? Open up Blockfolio and navigate to their news tab. Here you’ll see an array of all the news stories from your bespoke selection of sources. Tap the “sources” button at the top right-hand side of the app. Here will be a list of available news sources to pick and choose one. All sources are alphabetically ordered, with Chepicap, near the top… handy. 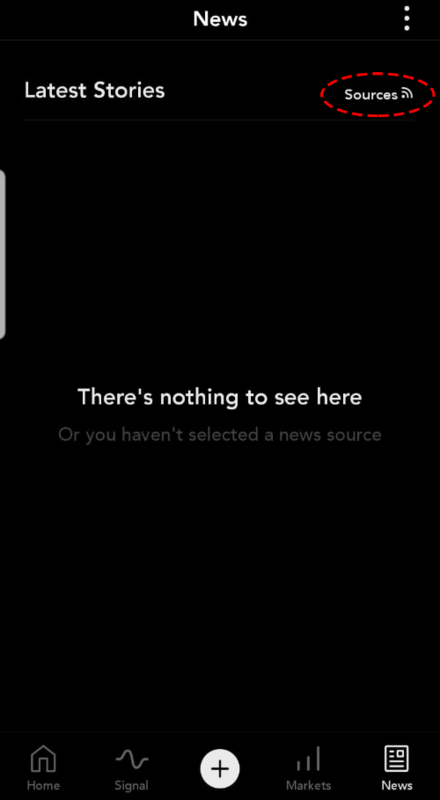 Tap the circle next to Chepicap news source to include it in your news feed. Bish, bash, bosh, you’re done.